A good friend gave us a framed version of this poem shortly after our daughter was born. It hangs on the wall of her bedroom and we read it together from time to time. I hope it helps her understand her birth story and how much I love her. 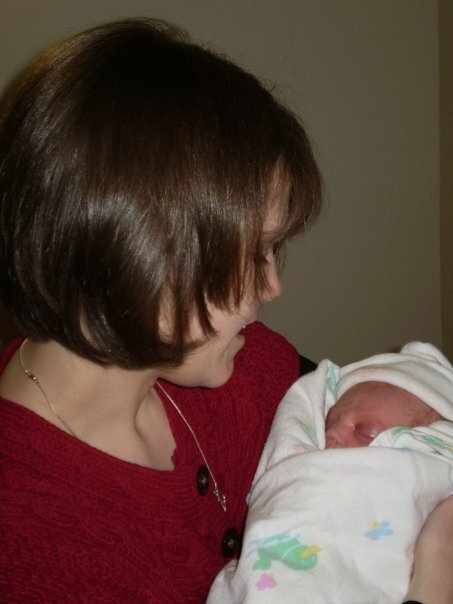 Six years ago we first met our daughter, sitting in the nursery of the labor and delivery unit. Our beautiful girl swaddled in the hospital issued receiving blanket, a white cap on her head hiding her wisps of red hair. I was instantly in love with her. My breasts ached, just like they had when I first held our son four and a half years before. The only difference this time, I didn’t have the opportunity to create her myself. I didn’t have the opportunity to get to know her during her nine month gestation. Before I met her I wondered if I would feel a difference between how it felt to first hold our son, who I’d carried in my womb, and our daughter who I had not. The instant she was placed in my arms I knew the answer. I love her, forever and for always. There is no difference. They are my children. It’s just that simple.